"I have never experienced a Doctor that was so down to earth and really cares about you." "The office is very clean and family friendly." "Thank you to Dr. Martinez and her entire staff." "Thank you Dr. Martinez! I would recommend anyone in the area to visit her!" "Dr. Martinez is the best. Super down to earth, and a really great doctor." Michele Martinez, MD, has more than one-quarter of a century of experience in the medical field and has served the Riverside area in particular for over a decade. She’s passionate about women's and family health care, and committed to getting to know each of her patient’s particular medical needs, creating genuine, lasting relationships. Dr. Martinez received a bachelor’s degree in biology from Loma Linda University and went on to study at the Boston University School of Medicine, obtaining her medical degree in 1992. She completed her medical residency in family medicine in 1995 at the University of Southern California Medical Center in Los Angeles. 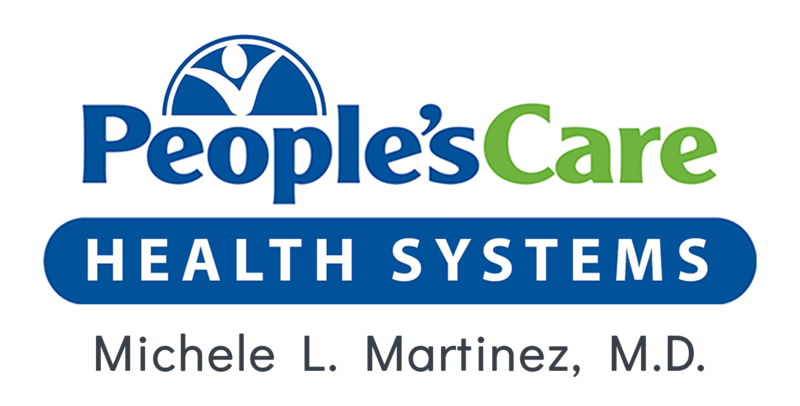 At People’s Care Health Systems, Dr. Martinez offers a friendly environment where she provides both family medicine and OB/GYN services with specific, personalized care. Dr. Martinez is prepared to become your support system for clinical excellence, service, and compassion. Dr. Martinez is a member of the National Latina Business Women Association-Inland Empire, and she is fluent in both English and Spanish. If you’re looking for a doctor in or near Riverside, California, don’t hesitate to call People’s Care Health Systems or use the booking tool here on the website to schedule an appointment with Dr. Martinez. Dr. Martinez accepts many insurances. For information on your insurance provider please contact the office and have your insurance information ready. Whether you’re hitting the road or hopping a flight to an exotic location, safeguarding your loved ones’ health on vacation this summer lets everyone get the most out of these all-too-rare moments. Timing your flu shot is one of the best ways to protect yourself and your family from this sometimes deadly disease. Check in with Dr. Martinez earlier rather than later to give your health a shot in the arm. "Dr. Martinez is a really great doctor. You can tell she really cares about her patients and their well-being, which is hard to find these days." "She is a very good doctor. She always sends for the necessary exams and refers you to specialists very quickly if you need it. She is kind and respectful." "Dr. Martinez is amazing. She is so caring and knowledgeable. She's the best doctor I've seen since I moved to California!" "You can tell that she truly cares. She is extremely knowledgable and easy to talk to. Would recommend to anyone." "Dr. Martinez is great! She is very attentive and knowledgable. Would definitely recommend her."